1) Provide something new for our date nights -- adds the FUN element to our 8-year-old marriage! 2) Add a new layer to our sources of great, clean, family-friendly entertainment -- so hard to access to in this generation! 3) Connect with other people in the city that we would not normally run into because it's a very busy season for us. 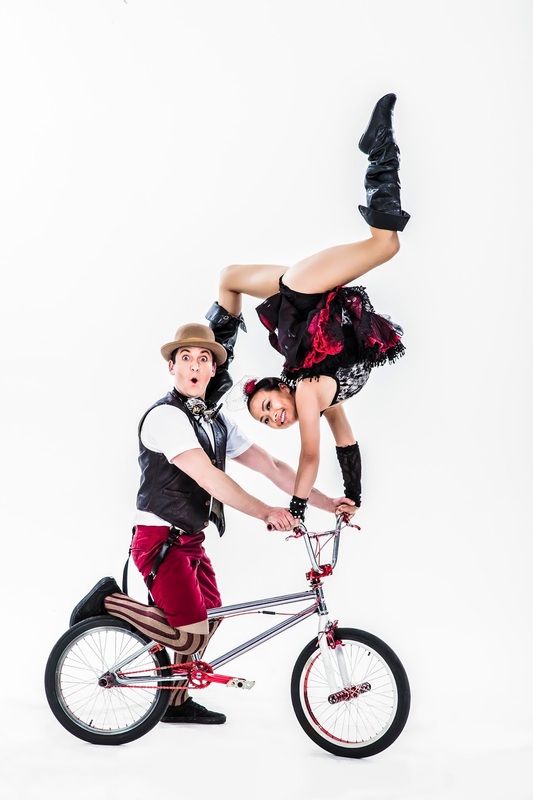 I wanted to share with you an upcoming show through Omaha Performing Arts that involve the unlikely combination of these: BMX, bicycles, Cirque, mechanics.